Cactus Mix is a soilless mix containing organic material to provide proper conditions of root aeration and improve drainage. 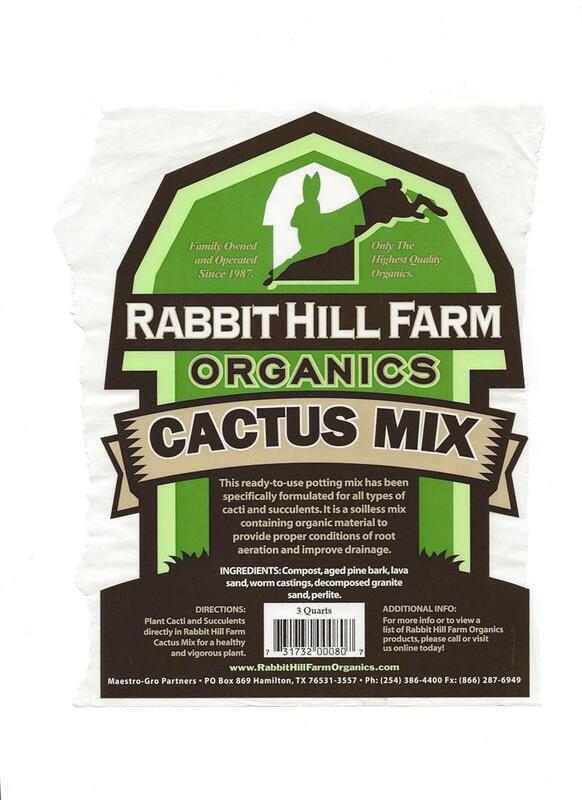 Cactus Mix is an all purpose natural mix for all your cactus and succulent planting needs. Ingredients: Compost, aged pine bark, lava sand, wormcastings, decomposed granite sand, and perlite.